A year-long celebration of America's most beloved and iconic art instructor, Bob Ross. 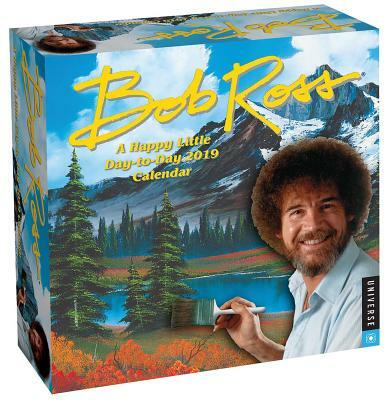 The Bob Ross: A Happy Little Day-to-Day 2019 Calendar is a decorative and nostalgic collection of Bob Ross's landscapes (filled with happy little clouds, trees, and squirrels). Some of Bob's greatest quotes are also included on select pages.